The Easter Weekend is considered one of the highlights of the year in South Africa. It’s a time to enjoy four days off in one go – from Good Friday to Family Day on the Monday. Four free days certainly lets you sit back and relax to do the things you really enjoy doing – especially when they involve online gambling. You’ll have plenty time this weekend to visit your favorite haunts and enjoy top-quality online gambling sessions. What’s more, because this is such a fun holiday – with Easter bunnies, chocolate eggs and hunts for rewards – online casinos go the distance to make sure that there are some great promotions lined up for their players. Take Casino.com as a case in point. Hop on over to Casino.com this Easter weekend and claim one of the ‘egg-citing’ bonuses up for grabs. The South African friendly online casino is urging all players to seek their Easter Fortune this holiday. “Our Easter basket is full to the brim with sweet treats – all yours for the taking!” says Casino.com. How does the Easter Fortune promotion work? 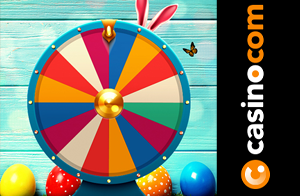 You’ll find a fun Easter Wheel at the online casino which is your ticket to lots of reward if you get lucky this weekend. The promotion will run from now until Tuesday, April 23rd, 2019 – just enough time to cover pre-Easter excitement and to take you into the long weekend. You will have the opportunity to spin the wheel every single day of the competition. Aren’t you curious about what the Easter Bunny will bring you this year? Then enter the promotion today! • The Easter Fortune promotion will end on Tuesday, April 23rd at 23:59 GMT. • All registered Casino.com members may spin the Easter Fortune Wheel once a day during the promotion. • Each day, Casino.com will offer players new bonuses. • A day in the promotion is calculated as being from 00:01 to 23:59 GMT. 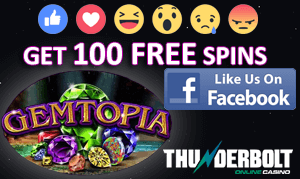 • To take part in this promotion, you must have made your first deposit into your Casino.com account and claimed the Welcome Package.